Join us for a tandem flight near Busan South Korea with one of our licensed and insured pilots. We meet at 10:00 a.m just 22 minutes from Busan Station. Directions, other activities, and all other details are listed below. Deposit: Basic Course: The deposit is $18 or 20,000 won. Special Course: The deposit is $27 or 30,000 won. Dynamic Course: The deposit is $36 or 40,000 won. *We meet all guests at 10:00 a.m. Please read the directions tab below for help with directions and train tickets. *Please pay the remaining balance at the paragliding site in cash. We do not have a card reader at the paragliding site. OTHER ACTIVITIES: We have added new activities such as bungee jumping, paintball, wakeboarding and more. Click here for information. Located in Songgeum-ri, Namseong-hyeon, Cheongdo-gun, Gyeongsangbuk-do, Wine Tunnel is famous for dates, family excursions, and trips with friends. Visitors can enjoy wine made with Cheongdo’s specialty product, bansi (persimmon), in the train tunnel to age wines. Part of the tunnel has been turned into a café, attracting many visitors who are excited to visit the wine tunnel. You can reserve a tandem flight with us for any day or time (during daylight hours). Train rides from Busan are 22 minutes. Once arriving at the meetup point, we will pick you up and take you to the flying site (usually 10 minutes away). Allow about 2 and a half hours to assess the weather, go up the mountain, takeoff, land, and arrive back at the train staion. 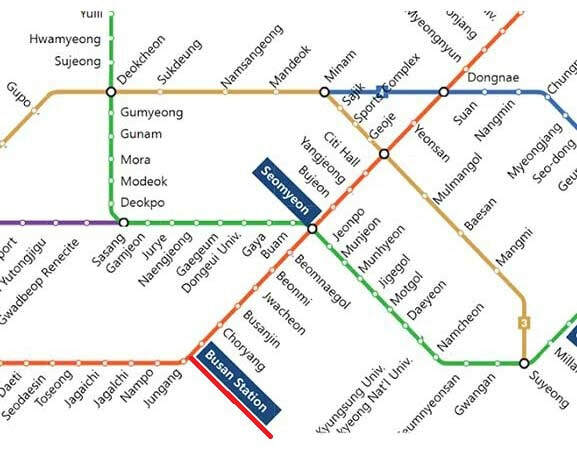 Guests can take a train from Busan station to Ulsan KTX Station. Go to the Subway station called "Busan Station". Buy a ticket to Ulsan KTX Station. The train ride is 22 minutes and costs 8,400 won. The meetup time is 10:00 a.m. Tickets don't sell out and can be purchased on the day of. After meeting, it takes usually 10 minutes to drive to the paragliding site. the meetup time is 10:00 a.m. Please don't be late. Guests can meet us at the Ulsan KTX Station, or at the address shown on the map. Please be sure to arrive by 10:00 a.m.